Rather than rely on pre-packaged, store bought Valentines, each year I make some unique cards for my son to give out to his classmates. 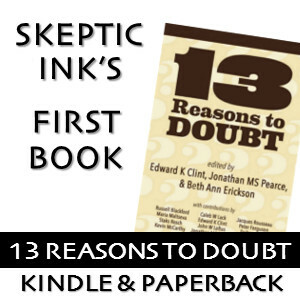 These are always tailored to whatever he’s particularly interested in at that time, such as a particular video game or book. This year, he’s really interested in prehistoric life and creatures, so that’s what we made. 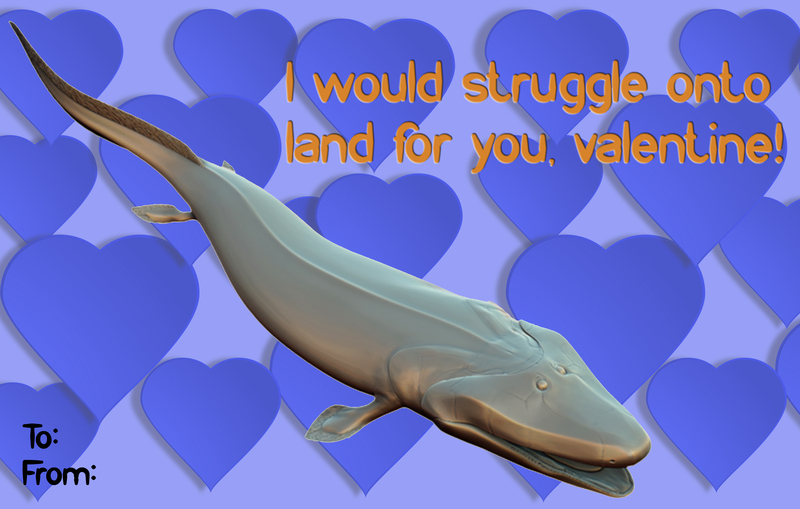 Feel free to print out these Prehistoric Valentines and pass them around to your friends, families, and other loved ones. Clicking on each will pull up a full sized image that you can then size to your liking. I hope you enjoy these as much as we did! 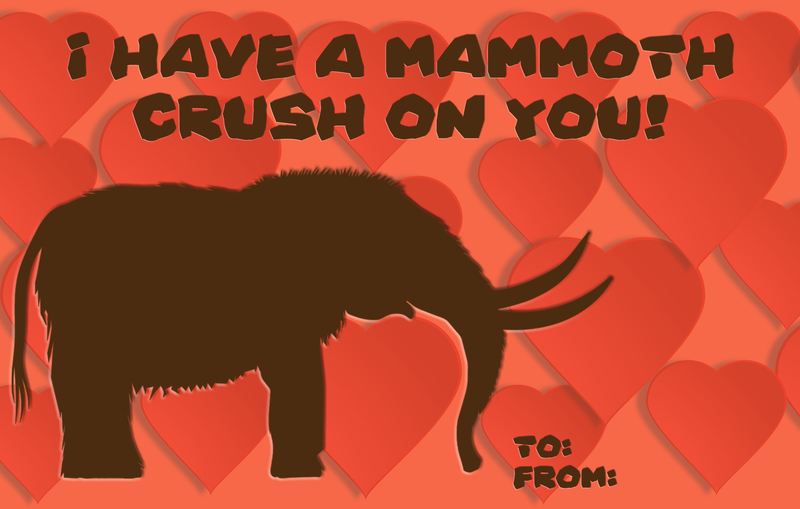 Wooly mammoths are a favorite around these parts. 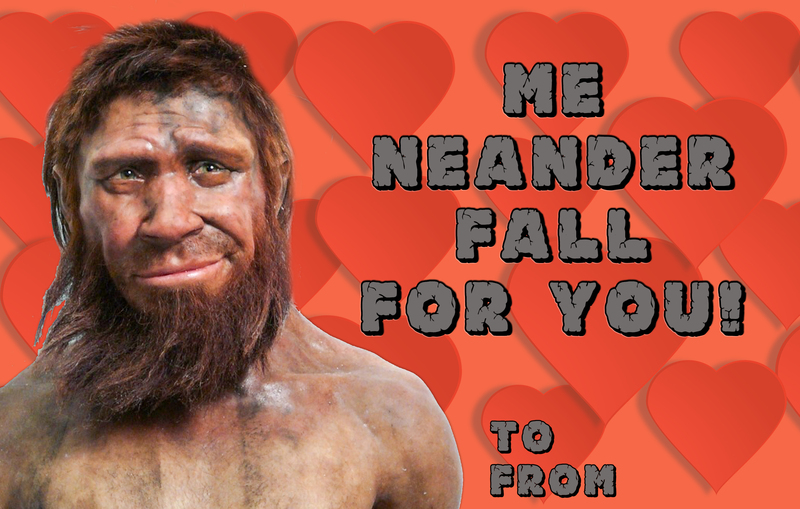 You can never go wrong with a handsome Neanderthal. Poor T-Rex. He may be king, but he’s also a little short handed. 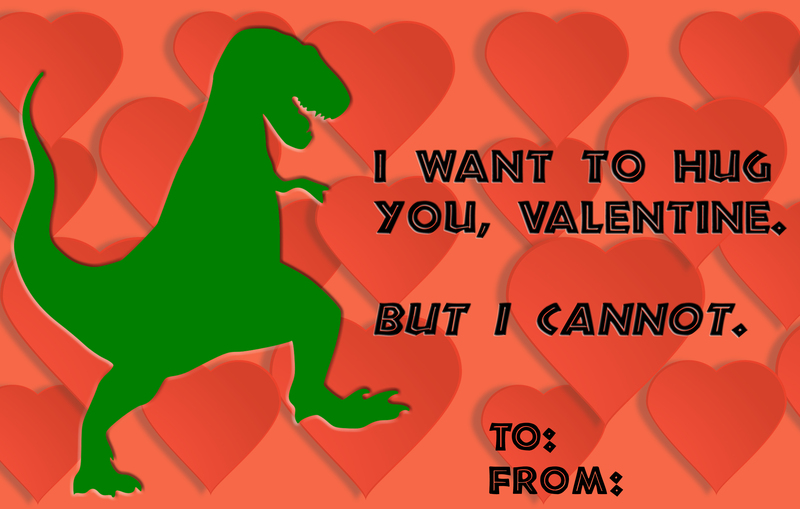 A special bonus Valentine, for the the intermediaries among us. So do I. It’s one of my favorites. And, it seemed very appropriate for the “handsome Neanderthal”.